Haaretz newspaper said Israeli prime minister’s adviser on settlement issues is advancing a plan to exempt officially urban settlements from being obliged to publicize tenders for marketing lands, in order to reduce the diplomatic pressures on Israel that results from publicizing such tenders. The paper said in its Thursday edition that "settlement construction is divided into two parts, the first related to construction in rural areas which is run by local authorities, and the second related to construction in cities and is run by the Minister of Housing," and added that the settlement construction obliges the government to publish tenders on land intended for construction. "Because of the publication of these tenders, the pressure on Israel is increasing to halt settlement building", Haaretz reported. Israel has continued to build Jewish settlements in the West Bank and in occupied Jerusalem even after the resumption of the negotiations with the Palestinian Authority, and despite all the criticism and international pressure. Israeli Peace Now movement issued a report on Israeli settlement construction and expansion activities, and revealed that settlement construction increased by %70 in the period between January and June 2013. It said that there is a %70 increase in construction starts when compared to the same time-frame of last year, and added that constructions started for building 1708 units from January to June. Peace Now added that 180 of these constructions are in fact located in illegal settlement outposts, comparing to 995 units in the same period of 2012. It further stated that the construction of 1794 units have been completed, and 2840 units are still under construction. The Movement said that %61 of the construction starts (1040 units) were in isolated illegal settlement east of the border that was proposed by the Geneva Initiative, adding that %44 of the construction starts were east of the planned rout of the Annexation Wall, and only %32 (542 units) were built on the western side of the Wall. It also said that constructions also started for 180 public buildings, such as synagogues, schools and kindergartens, in addition to 1708 apartments, 74 industrial and agricultural buildings. Peace Now said that all of these tenders and plans mean that when Israel declared a temporary freeze of settlement activities, until July 2013, it did not implement a general freeze or moratorium on settlement constructions, but only part of the constructions in the settlements. Palestinian President Mahmoud Abbas headed for Europe on Monday on a mission to increase international pressure on Israel to halt settlement construction. According to Maariv newspaper, Abbas' trip will take him to Germany, Italy and Belgium, where he will meet with heads of state and push for them to increase pressure on Israel to freeze settlement construction in the West Bank. Sources in the PA told Maariv that Abbas set up the European trip in response to the Israeli calls to cut off the US-brokered peace talks and rethink the prisoner releases. 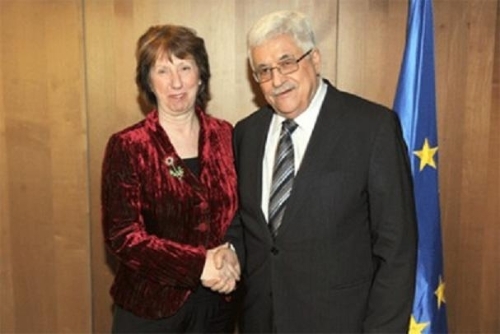 The newspaper added that Abu Mazen "Abbas" and the Palestinian leadership hear the opinions in Israel that are talking about the possibility of freezing the talks because of recent events, and they are already preparing an alternative plan — appealing to the United Nations institutes with the goal of winning international recognition for Palestinian state." 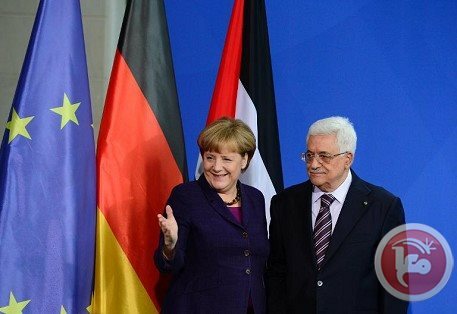 The newspaper also added that Abbas was going to Europe to ask for financial aid amid a fiscal crisis in the PA.
Abbas will also stresses during his trip that he is determined to continue talks with Israel; although he will tell the European leaders there has been no significant progress so far. Once it seemed that uncritical devotion to Israel was the norm for American Jews, and that Zionism and Judaism were hand-in-glove. But new polls seem to show otherwise. Now a majority of American Jews are critical of Israeli policies-- including its settlement activities on occupied Palestinian land. The Hamas Movement warned the Israeli occupation regime and its extremist Jewish groups of building a synagogue on the land of the Aqsa Mosque and affirmed that there would be dire consequences for such violation. "We, in Hamas, warn the occupation and its extremists of executing such grave plan or touching any part of the Aqsa Mosque," Hamas said in a press release on Saturday. "Attacking the Aqsa Mosque and attempting to divide it temporally and spatially are a major crime and a red line that our people cannot allow to be crossed," it emphasized. 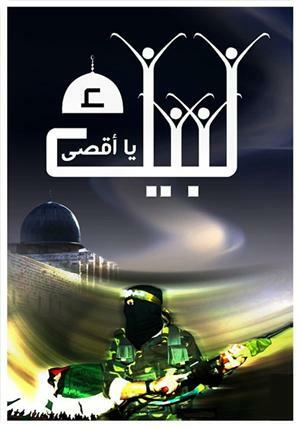 Hamas also expressed its belief that all the occupation's plans to Judaize the Aqsa Mosque are only desperate attempts and will never succeed in imposing a fait accompli. It urged the Arab and Muslim nations, their leaders, the organization of Islamic cooperation and the Arab League to urgently move to curb Israel's violations against the Aqsa Mosque and the Islamic holy sites in Palestine. For their part, the supreme Islamic council, the council of waqf and Islamic affairs and Dar Al-Ifta (the fatwa house) in occupied Jerusalem strongly denounced Israel's intention to build a synagogue on part of the Aqsa Mosque's area. 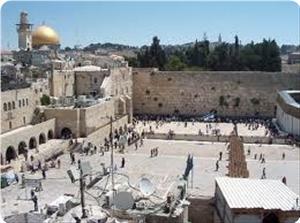 In a joint press release on Saturday, the Palestinian Islamic institutions noted that the Israeli occupation authority also plans to make changes to Al-Buraq wall square (the Aqsa Mosque's western wall area) and establish an aerial tramway between Attour Mount and Al-Asbat Gate over the northern side of the Aqsa Mosque. They emphasized that Israel's persistent violations at the Aqsa Mosque is an act of corruption and an attempt to revoke the jurisdiction of the Islamic waqf authority and the Aqsa renovation committee over the Mosque. They highlighted that the Aqsa Mosque belongs to Muslims alone by God's will and the Jews have no religious, political or historical sovereignty over it. 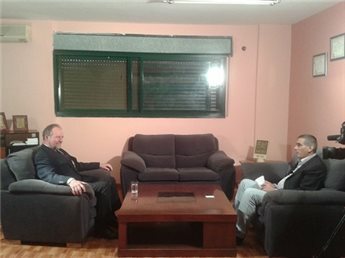 The Italian consulate denied allegations that the visit of the Italian Minister of Tourism and Culture Massimo Bray to Hebron was in solidarity with Israeli settlers. In a statement released on Saturday evening , the minister assured that his visit was part of a mission to "contribute to Palestinian institutional building in the field of culture and tourism promotion." Israeli sources have reported that bids for the construction of 793 new settlement units will be announced soon, as part of a plan to build 1500 new units in a number of Jewish settlements in the Jerusalem district, and around it. The sources said that, three months ago, Israel approved the marketing of lands for the new constructions, and that the bids will be concluded this coming Monday. The bids are for the construction of 400 units in the Gilo settlement, 210 in Abu Ghneim (referred to as Har Homa), 183 in Pisgat Zeev, 149 in Efrat, 92 in Ma’ale Adumim, and 36 in Beitar Illit. Israeli weekly, Yerushaleim, stated that, until last August, Israel used what it called “Calm Freeze” of settlement activities and refrained from approving 2500 units in occupied Jerusalem, despite the fact that construction plans are ready. It said that the claimed freeze is meant to push direct peace talks with the Palestinians, but after the talks were resumed, Israel gradually approved hundreds of units in occupied Jerusalem. Those bids include 1500 new units in Ramat Shlomo settlement; one of the companies participating in the bid specializes in constructions meant for religious Jews. The company is currently trying to buy lands in Jabal Abu Ghneim (Har Homa) in order to market apartments with what was described as very competitive prices. The construction and expansion of Jewish settlements in the occupied Palestinian territories is one of the main obstacles to direct political talks between Israel and the Palestinians. Israel’s settlements, built of Palestinian lands in the occupied West Bank, including in and around occupied East Jerusalem, violate the Fourth Geneva Convention and International Law. 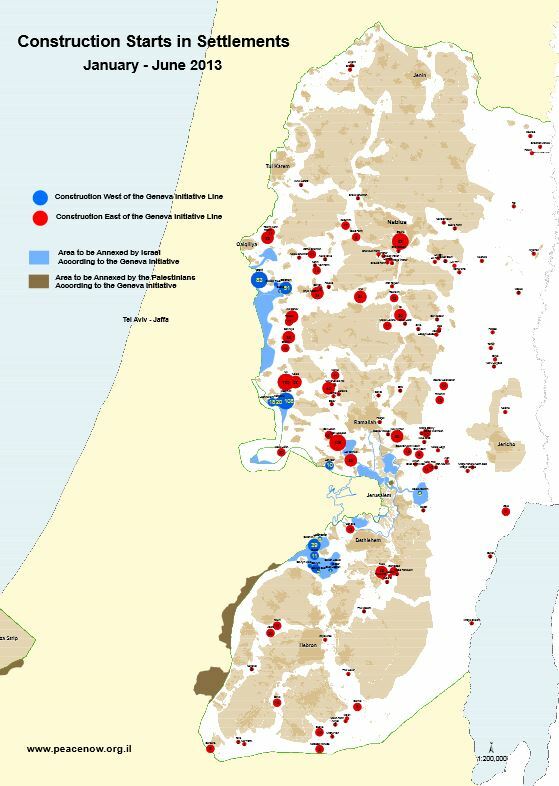 Settlements and the Annexation Wall in occupied Palestine are devastating the Palestinian economy, causing villagers to lose their lands, and isolating them from what is left of their lands, and are turning the occupied territories into isolated cantons. 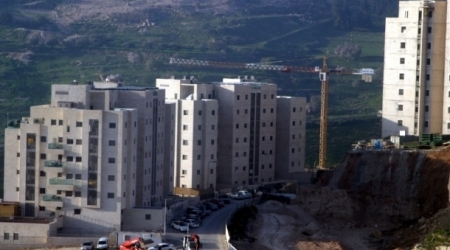 Chief Palestinian Negotiator Dr. Saeb Erekat strongly condemned the approval of 58 new settlement housing units for the illegal settlement of Pisgat Ze'ev, between Occupied East Jerusalem and Ramallah. 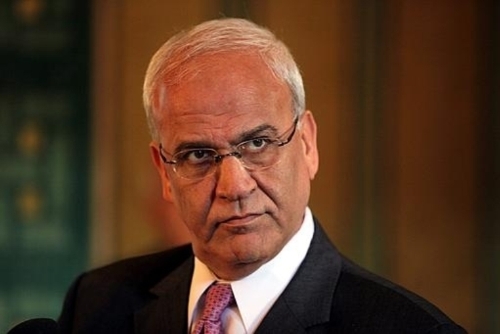 "Israel has an obsession to intensify its aggression against Palestine and its people while we are trying to reach a negotiated solution," said Erekat. "After the announcement to intensify negotiations made by Secretary John Kerry, Israel destroyed the village of Khirbet Makhoul for the fourth time and approved further settlement expansion aimed at sealing Occupied East Jerusalem from Ramallah." Erekat continued: "Our position is clear and in line with international law: all Israeli settlements in Palestine are illegal. Settlement construction in Occupied East Jerusalem, Ariel and Kiryat Arba is illegal and undermines the prospects of a negotiated two-state solution. 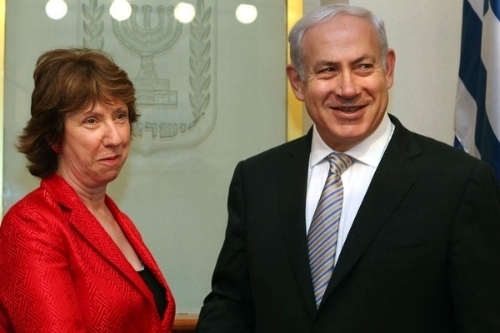 If Israel is serious about peace, they must cease all settlement activities." 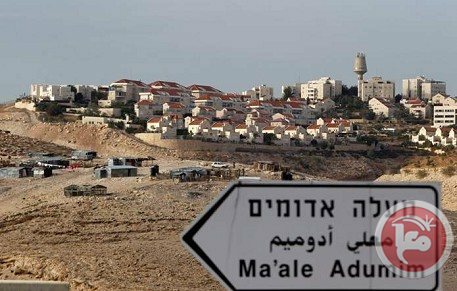 Erekat concluded: "While a few EU countries have voiced reservations to the EU guidelines on settlements, this new announcement should reaffirm to the international community that to embrace its responsibility to take concrete actions against all Israeli settlements activities would place it on the right side of justice. For peace to prevail and a two-state solution to flourish, the world must act in order to make Israel pay the price for its institutionalized defiance of international law and UN resolutions." 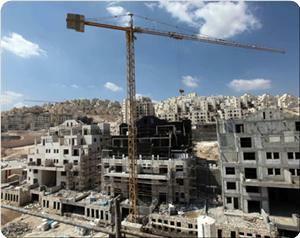 The Israeli-controlled Jerusalem municipality approved the construction of 68 new settlement housing units in Jerusalem. 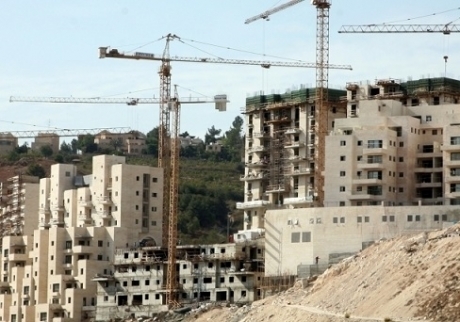 Yediot Ahranot (Ynet) reported that the Jerusalem local planning and construction committee approved the construction of 68 housing units in the Pisgat Zeev settlement in east Jerusalem. The project was approved in a 4-1 vote, Ynet added. One of the "Meretz" party's representatives has strongly opposed the construction decision and described it as "provocative". The Israeli civil administration of the West Bank was planning the expropriation of hundreds of dunums of Palestinian land in Al-Khalil to expand a settlement outpost. Hebrew daily Ha’aretz said on Tuesday that the civil administration was planning to curtail the area of a natural sanctuary south of Al-Khalil mountain and award hundreds of dunums to a small settlement outpost that was built there in 1998. 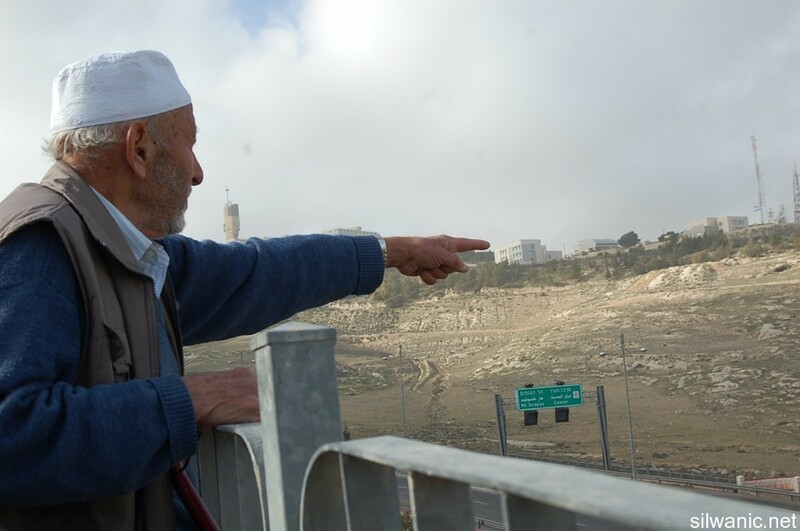 The paper said that the outpost is inhabited by 30 Jewish families and was not recognized before as a settlement until a number of rightist leaders started last year to pressure the government to legitimize it. It recalled that the commander of the Israeli army’s central region Nitzan Alon signed a military order allowing the outpost to annex 240 dunums of that sanctuary’s land. It said that the administration’s planning and construction committee was waiting for the Israeli cabinet approval in order to start implementing the order. The Israeli Civil Administration is going to reduce the size of a nature reserve in the South Hebron Hills in he West Bank to enable the expansion of the settlement of Negohot and the legalization of a nearby outpost, Israeli Haaretz newspaper reported. Negohot was established in 1998, and for years it had no authorized master plan that would enable legal construction. Nevertheless, houses were built there, and the settlement is currently home to some 30 families. Later an outpost was built on a nearby hill, and even though it has been served with an order that would enable its immediate evacuation, a few more families are living there. Another outpost was built across the road, in the Nahal Negohot nature reserve, consisting of one house and a few grapevines. The Civil Administration razed the house in 2009, but it has since been rebuilt and the administration has taken no further action. Over the past year, due to political pressure from the right, work has begun to legalize Negohot and its outposts. In May, Central Command chief Nitzan Alon signed an order that defined the settlement’s boundaries for the first time; these boundaries include 240 dunams (59 acres) of the nature reserve. Negohot is now working on a master plan that would legalize its existing houses and allow additional units to be built, both in the main settlement and in the nature reserve. Documents and testimony obtained by Haaretz show that the Civil Administration is seriously considering this plan, which would effectively shrink the nature reserve to permit construction. The plan was recently presented to planning professionals at a meeting convened by the administration’s planning office, and the experts are now studying it. Once they issue their recommendation, the matter will be forwarded to senior administration officials for a decision. Al-Aqsa Foundation for Endowment and heritage revealed that the Israeli authority is preparing to launch a new Judaization project by digging tunnels near Buraq Square west of Al-Aqsa Mosque, aiming to establish new facilities on an area of 1444 square meters. 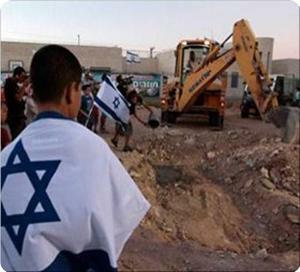 The foundation said that the occupation planned to approve in the coming days the establishment of the Judaization facilities three years after freezing its construction. 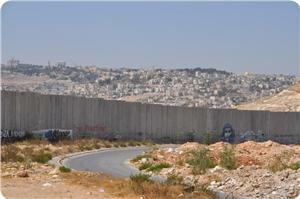 The Judaization project's cost is estimated at $10 million funded by the Jewish millionaire Baruch Klein. Al-Aqsa Foundation pointed out that the project aims at increasing the number of settlers and foreign tourists in the Old City and occupied Jerusalem and al-Aqsa mosque particularly though establishing elevators and underground corridors to facilitate the arrival of the Jewish visitors as part of the Israeli policy to Judaize al-Buraq area and to blur the Islamic and Arab monuments in the area. The foundation confirmed that it has charts and maps related to the mentioned project showing two tunnels to be drilled to link between Sharaf neighborhood and al-Buraq square through establishing a large elevator with a capacity for 24 passengers. The project includes the construction of a visitor center, and public baths, stores, shops, and rooms for different uses. The foundation stated that it would publish the documents in the coming days. The Israeli Haaretz newspaper said in its edition today that Minister Ameer Peretz issued his directions to the “Nature Parks Department” to stop the development of “National Park” scheme in the lands of Al-Tur and Esawyeh after showing the absence of any natural values ​​or special archaeological remains in the area of Al-Tur and Esawyeh to transfer them to “National Parks”. Haaretz published in its edition last Monday a report indicating that an employee at the so-called “Nature and Parks Authority” said that the main objective behind the so-called “National Park” in East Jerusalem is to stop the construction in the area and it does not have anything to do with protecting nature. The newspaper quoted Palestinian and Israeli left activists that the objective of the scheme is to stop the expansion of Al-Tur and Esawyeh, while the Nature and Parks Authority claim that there are areas and monuments in the area that need to be taken care of; the Nature and Parks Authority established an advertising booth in a site overlooking the designated area in Al-Tur during “Sukkot” to provide description around the “National Park”. The Israeli authorities have approved the construction of 32 additional housing units, in Beit Orot in occupied Jerusalem after the establishment of 28 housing units in Jabal al-Zaytun in Jerusalem. The lawyer Kais Nasser told al-Ayam newspaper that four buildings are planned to be established in Beit Orot settlement consisting of 32 housing units. The settlement expansion is funded by the American-Jewish millionaire Irving Moscovich, who had previously held a conference with the participation of Minister of Housing during which they discussed the Israeli settlement construction in the Old City of Jerusalem. The settlement was built several years ago, where a Jewish religious school was established for inciting settlement expansion and building the alleged Temple on the ruins of al-Aqsa mosque. The lawyer added that the expansion project of Beit Orot settlement was submitted by the religious school to confiscate more than three dunums of al-Tur neighborhood. 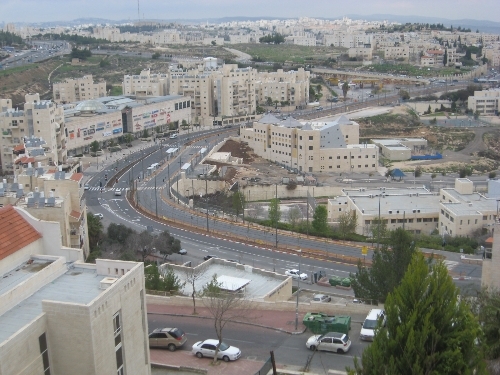 Nasser considered the project as a serious escalation in settlement expansion where it will pave the way to build a large settlement outpost in al-Tur neighborhood in occupied Jerusalem. 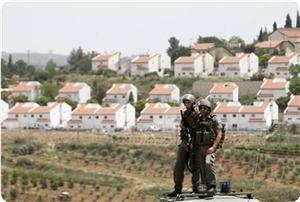 Israeli authorities intended to build a new settlement on a 4000 sq. m area which belongs to Al-rijbi family in the old town of al-Khalil, Peace Now Group revealed. "This would be the first new settlement in Hebron since the 1980s, with potentially devastating consequences with respect to Palestinian residents of Hebron," the Israeli group said. 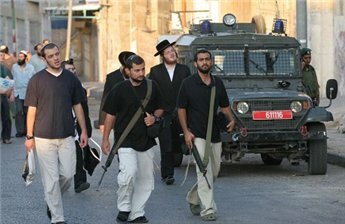 The group warned of the Israeli intention to establish another large new settlement in the heart of al-Khalil, at a site known as “the House of Contention,” it will likely take place in the coming days or weeks. The site in question is a large building located inside the built-up area of Hebron, on the road connecting Kiryat Arba (located on Hebron’s periphery) and the Ibrahim Mosque. Settlers have long sought to convince Israeli soldiers to take control of this strategic corridor, with the goal of establishing contiguous Israeli control between the two settlement areas, the group stated.